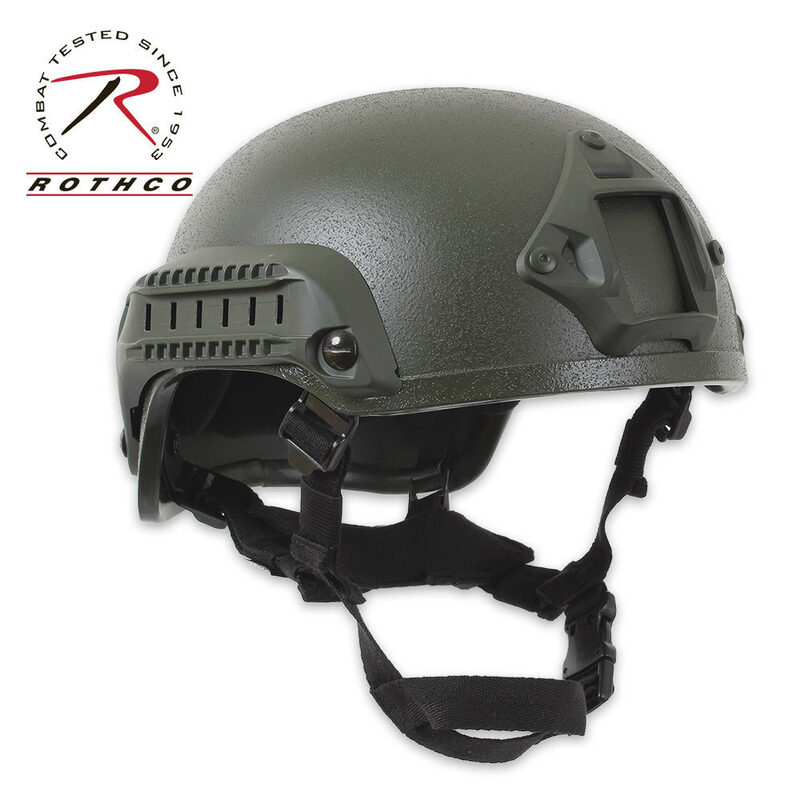 This OD green tactical military-style base jump helmet is constructed of a durable plastic ABS composite material with a removable memory foam interior cushion. It also features hook and loop attachments and side rails for tactical accessories. Like actual military and tactical-grade helmets, the front of this base jump helmet is built for adapting lights, cameras and even night vision accessories just like a real covert soldier's helmet. The adjustable chinstrap has a quick-release buckle and holds the helmet securely in place, ensuring a custom fit. This quality base jump helmet is ideal for your next paintball or airsoft match.